Dr. Mondrow earned his medical degree from Mount Sinai School of Medicine in New York in 1993. He then returned to his home state of Colorado to complete his residency at St. Joseph Hospital in 1996. 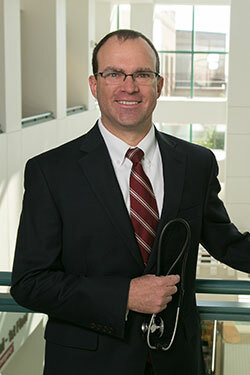 Dr. Mondrow is Board Certified in Internal Medicine and a fellow of the American College of Physicians. He served as the chairman of the Department of Medicine at Avista Adventist Hospital in Louisville, Colorado and is an assistant clinical professor at the University of Colorado School of Medicine. He has been practicing medicine since 1996. Dr. Mondrow is married with two sons and enjoys skiing, running, biking and camping.